These oat and zucchini muffins is a great make ahead breakfast, which is something that I definitely need now that I have started an intensive course of Spanish as addition to Catalan. They are also a great source of energy and I love to use this as an excuse to have a dessert for breakfast. Preheat oven to 190C and grease a muffin pan. In a large bowl mix together flour, oats, sugar, baking powder, cinnamon and salt. Separately, slightly beat eggs with milk, olive oil and vanilla. Make a well in the centre of dry ingredients and pour the eggy milk mixture in. Mix well. Fold in grated zucchini and mixed nuts. Pour batter 3/4 full into prepared muffin pan and sprinkle with some oats. Bake for 20-25 minutes or until a toothpick inserted in the centre of a muffin comes out clean. This year I used cranberries in baking for the first time. Now there is no way back. It has turned into an addiction! In last month I have baked this apple and cranberry crumble pie a couple of times and half of my freezer is still taken up by these super berries. The other day when I had nothing yummy for breakfast, it was a perfect excuse (as if I needed one) to bake with cranberries again. These muffins are easy and very fast to make and turned out to be so delicious that I had them for breakfast for next 4 days! In a large bowl stir together flour, sugar, baking powder and salt. Make a well in the centre of the mixture and set aside. In a separate medium bowl combine beaten eggs, milk, melted butter and grapefruit juice. Add this mixture to dry ingredients and mix until combined. Carefully fold in cranberries and citrus peel. Spoon into muffin cases and bake about 25 minutes or until golden. Without my intent to do so this week has somehow turned into a muffin week here. It started with these Double chocolate muffins and I can’t imagine a better way to finish it than with these blueberry and orange muffins. I baked these for the first time a couple of months ago when I went on a weekend trip to Wales with a group of friends. It was an early start on Saturday morning and I knew we needed something sweet to kickstart the day. These served perfectly and all 10 disappeared in about 2 minutes, so if you have family/friends who appreciate good muffins make two batches of these instead. P.S. If you ever have a chance to visit Wales, do it! Brecon Beacons National Park is wonderful and the seaside is breath-taking. Here are some pictures from our late summer trip. Brecon Beacons Waterfalls. Photo by Gerard Puigmal. In a separate medium bowl combine beaten eggs, milk, melted butter and orange extract/peel. Add this mixture to dry ingredients and mix until combined. If chocolate had a Facebook account, our relationship status at the moment would be “it’s complicated.” Don’t take me wrong, I absolutely love chocolate, but for a long time I was an overly attached consumer. Then something I didn’t believe could happen occurred – I had enough. Instead of triple chocolate everything I now prefer only double chocolate treats like these double chocolate muffins. Unbelievable, but true. I am sure it is just a short crisis in our relationship and I will go back to triple chocolate soon, but at the moment this recipe works very well for me! What about you? Would you go for single, double, triple or quadruple(yes, they do exist) muffins/cakes? In a medium bowl cream together butter, sugar, sour cream/yogurt, and vanilla extract until light and fluffy. Add the eggs, one at a time. Beat the mixture between each addition until just incorporated. In a separate bowl mix together flour, baking powder, cocoa powder, and salt. Add flour mixture to butter mixture alternately with the milk, in 2-3 additions each. Spoon the mixture in muffin cups and bake for about 25 minutes or until toothpick comes out clean. 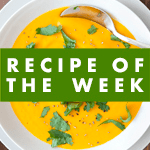 This week I’m sharing the recipe with A Mummy Too and lovely people who read and join her Recipe of the week posts.